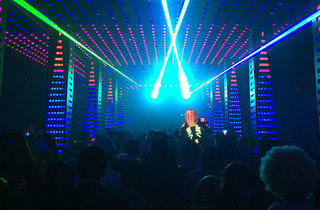 A recent redesign has transformed this formerly Eastern-inflected superclub into a more futuristic dance destination. 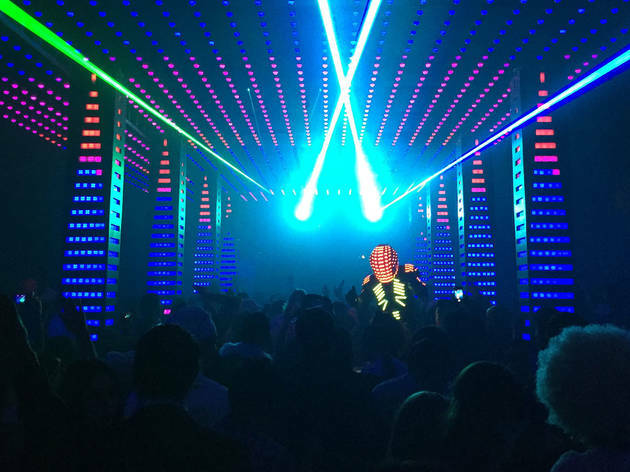 Spread across 15,000 square feet, the tri-level nightspot offers different EDM sounds on each floor, courtesy of big-name national artists like DJ Vice and 3LAU, and a crystal-clear Void Air Motion sound system. After hitting one of several dance floors, chill out in a "sky box" booth on the mezzanine while 50,000 LEDs pulse hypnotically to the beat below. The soon-to-open VIP space, Infinity Lounge, features lighting powered by the dancers on a motion-sensing, energy-generating dance floor.